Leesburg residents and visitors are going to need to find another place to get their tube steaks. Windy City Red Hots announced this week it will be closing its Leesburg location at the end of the month, along with its other location in Frederick, MD. The business started in 2008 as a food truck that for years was stationed at Blue Mount Nursery off Rt. 7 in Ashburn. It added brick and mortar locations in downtown Leesburg in 2010 and Frederick in 2017. 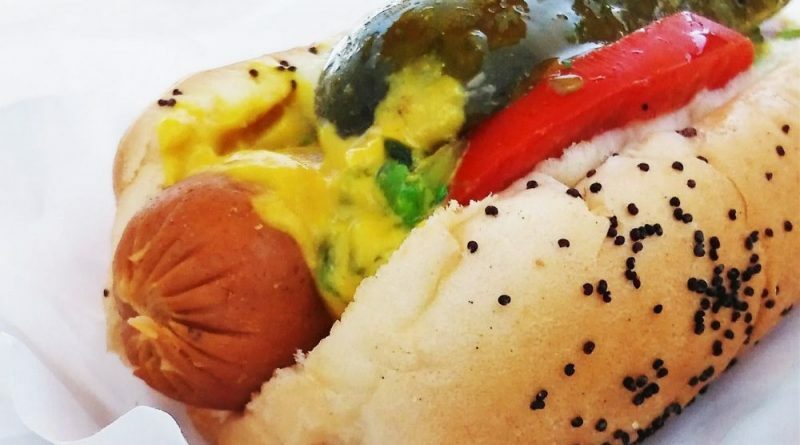 The menu offers a taste of owners Angel and Pia Miranda’s native Chicago—from Chicago-style hot dogs to Polish sausages, Italian beef, pizza puffs and more. “When we started Windy City Red Hots, our goal was simple: share the great taste of Chicago to everyone that hasn’t had it and for those that grew up with it and miss it so, it’s a bit of nostalgia as you bite into any of the foods. A little over 10 years and we’re overjoyed of what has happened. From the food truck and two downtown locations (Leesburg and Frederick), all the awards, great articles and most importantly getting to know our regulars and loyal customers. We are extremely grateful for all our customers, past and present employees as well as our family and friends who have helped our teenage dreams come to fruition. We couldn’t have done any of this without you,” a statement on the business’ Facebook page read. According to the post, the 28 S. King St. location in Leesburg will serve the public for the final time the weekend of the Flower & Garden Festival. The final day in Leesburg will be Sunday, April 28. The Frederick location will close the weekend prior.